This five-day workshop will review what it means to do research, the similarities and differences between research activity in developed and developing countries, and practical ways to start, develop and advance a research program at the personal and institutional level. The intended audience are faculty, library staff, students and superior administration in charge of research and education. The workshop will contain both lectures and participatory sessions, with discussions, panels and group exercises destined to create/stimulate ideas, cooperation, and vision. How to get going ? How to find Funding ? How to make Progress in Research ? Reality check: did I find something useful? 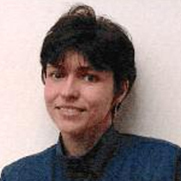 Dr. Marina Meila has 15 years of university level teaching experience and more than 25 years of research experience. She started, both as an academic and a as a researcher in her country of origin, Romania, which was at the time a developing country. Currently she is an internationally recognized researcher, with more than 50 publications in leading journals and conferences in her field. Dr. Meila is on several editorial boards of major journals, has chaired and participated in the organization of leading conferences in her field, and has given invited lectures in universities worldwide.